Payday Loans have garnered different reactions from all over the world. These are short term, but very high interest loans. It is used mostly by people who suddenly have emergency bills to pay and are unable to utilize the banks to borrow money – for one reason or another. Bank loans require a lot of documents, a good credit rating and it usually takes time to release loan proceeds. On the other hand, payday loans are easily approved, some in 24 hours, and only require that you have a stable job for the last 6 months. 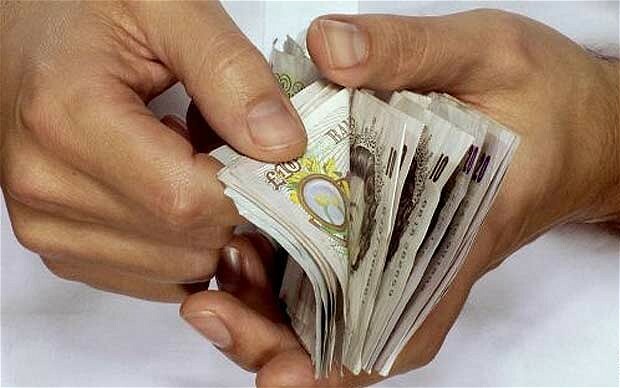 As the name implies, most payday loans have to be settled on your next payday. Some lenders allow longer payment schedules but the standard is a couple of weeks. It is an unsecured loan and do not require collaterals. Hence, they charge an exorbitant interest rate for providing this service. The annual rate of interest is at 3 digits. Lenders will require that you issue a postdated cheque to cover for the loan amount plus interests or through pre-authorized debit from your bank account. Just a few months back, Ontario launched a review of existing laws covering payday loan companies. It assessed whether the Payday Loans Act of 2008 still provides protection to consumers. The high interest loan industry has evolved with the advent of online transactions, applying for loans using a smart phone and other new practices. The government wants to ensure that consumers are still protected from predatory interest rates and usurious practices. The Canadian Payday Loan Association welcomed the review, but a spokesman mentioned that if the government lowered the fees that they charge, it will drive a lot of payday loan companies out of business. Currently there are 750 payday loan storefronts located in Ontario alone. The industry is booming and in spite of its negative reputation, it has become a necessary evil. Not everyone view the business as taking advantage of the needs of the low income population. These people look at the industry as a legitimate helpful service that covers a gap in the market. Disclose to the customer in detail the costs and fees before a loan is granted and the contract signed. Display a sign explaining the costs and computations clearly for the benefit of the borrower. Give a copy of the agreement for the borrower to review at his own leisure, at no cost. Not charge any fee or penalty for early payment. Have a license and contribute to the Financial Literacy Fund. No Rollovers – A borrower will not be granted an extension of an outstanding loan for a fee. They will not grant another payday loan to pay for their existing loan unless allowed by applicable legislations. Multiple Loans – A borrower will not be granted multiple payday loans whose total amount exceeds the initially approved loan amount. Default and Post-Maturity Interest Charges – A borrower will not be charged a penalty fee and/or returned item fee that exceeds the amount set by the CPLA from time to time unless allowed by applicable legislations. Interest for every $100 of a loan in default will not exceed $0.90 a week for the 1st 13 weeks and $0.50 a week after that period – or a lesser amount allowed by applicable legislation. Record Keeping – A member will keep records of financial transactions with their customers in accordance with the established standards by the Association and applicable legislations. Privacy Protection – Members cannot use the private information of its customers for marketing or other purposes unrelated to the payday loan. They will comply with all privacy laws. Advertising Guidelines – Members will respect advertising guidelines established by the Association and must also comply with provincial laws concerning advertising. Disclosure to Customer – Members will use plain and understandable language in their documentation and contracts and fully disclose the high cost nature of the loan detailing the costs, fees and interests in a clean manner. The Loan Agreement shall clearly and prominently state all the material terms of the transaction. Copies of the loan agreement must be given to the customer. Responding to Customer Complaints – A Member must respond to a customer complaint in a timely manner. If a customer is not satisfied with how their complaints were addressed, they are encouraged to contact the Consumer Response and Resolution Bureau action line at 1-800-413-0147 or email [email protected]. The CRRB will investigate and take necessary actions on a customer’s complaints. The lender will surely either contact a collection agency to collect the debt, or sue you for the amount you owe plus interest accrued and court fees. Consult a lawyer if you are being sued. If you somehow find yourself in over your head on your loan payments and collection agencies are chasing after you like paparazzi, it’s time to acknowledge that you made a mistake and contact a Credit Counseling Agency who can help you get out of the hole you dug yourself into. Important Information about Payday Loans: It’s a fact of life that even with the very high interests, payday loans do provide a service that is needed – especially by people who need cash and do not have the option of credit cards and bank loans. It is estimated that more than 2,000,000 Canadians avail of payday loans with an estimated 1,400 retail outlets across the country. Payday loans were designed for borrowers who have a one-time, unanticipated emergency expense. It was not meant to be used as a revolving credit since the interest is too high. CPLA Survey states that majority of borrowers come from the middle income households and 53% are women and 47% are men. Another survey by Pollara said that customers of payday loans are educated and are aware of the costs of obtaining a loan. It is a service that is convenient and flexible, when you need it the most – and some people appreciate that this option is available. While other lenders can only charge a maximum of 60%, payday loan lenders can charge a maximum of $21 – $25 per $100 for a 2 week loan. That’s almost 500% per annum! The lenders of course charge the maximum fee – why not? It’s legal. Payday loan companies reason that annualized rates shouldn’t be applied to short-term loans. Even if they lend $100 at a cost of $1 per day for 5 days, that will amount to 107% per annum. The computation is just not the same and lowering the interest rate, considering the risk of unsecured loans may put them out of business. It is not all profit for the payday loan lender. Some people who default on their payments and are no longer able to pay their debts, find ways to escape their debt by seeking assistance from a credit counseling organizations like Consolidated Credit Counseling Services of Canada. Before we pass judgment on the high interest rates of payday loan lenders, we need to think about the business from their point of view too. It’s a fact of life that it is not easy to gain access to mainstream lenders with lower interest rates. Some people say that only when you have money can you borrow money. It’s a hard fact, but it’s true. Since that is the case, what options do families have – those who live from paycheck to paycheck – when they suddenly have an emergency expense? When their house is about to be foreclosed? When their child is sick and they do not have insurance? Unless other options become available to low income families, it is better if we educate them about payday loans, rather than blame these lenders for providing a service that is lacking and much needed in today’s economy. Ultimately, fairness will come with the full disclosure of all rates and fees from the lender, and from borrowers having full knowledge of the commitment and responsibility they’re getting into. The government and CPLA have protections in place for the borrower. But there is no protection for the borrower from themselves. Knowledge is power, they say. In this case, knowing the ins and outs of the payday loan business, your liabilities and accountabilities – and your rights too – will allow you to fully utilize the benefits of being able to get cash easily the moment you need it the most.